Expert Center: How Can a Pediatrician Aid in Educating Parents of New-Borns? How Can a Pediatrician Aid in Educating Parents of New-Borns? Having a child is a magical experience – but it also incredibly stressful as well. It is easy to feel overwhelmed and confused once you have your baby. You get really tensed about the well-being of your new-borns. This leads to lots of confusion and doubts. Doubts about the health of new-born children are very commonplace. 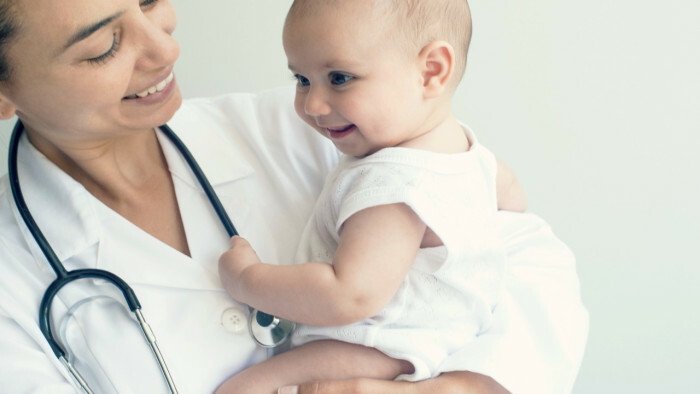 Almost every new parent immediately contacts their pediatrician whenever they have any doubts. Do not forget to consult your pediatrician in Charlotte if you have any problems. Pediatricians have a responsibility of educating new parents as well. Pediatricians also consider it part of their duties to properly explain every aspect of parenthood to new parents. Young parents can feel totally overwhelmed by the stress of parenthood. Here is a list of the most common fears and queries that panicky parents ask their doctors. New-born babies have very weak immune systems. For the first couple of months of their life, new-born babies must be kept absolutely safe from any infection. Illnesses and fever in the first few months of your baby's life can be very dangerous. As a parent, it is your duty to keep your baby safe from germs. Ensure that you always wash your hands with germicidal soap before picking up your baby. Also, insist on visitors to wash their hands as well before they visit your baby. Try not to expose your tiny tot to highly crowded areas. If your baby feels unnaturally warm or if there is a change in their natural sleeping or feeding routine, then contact your pediatrician in Charlotte immediately. Keep a baby thermometer handy so that you can take their temperature regularly. If your baby’s temperature is above 100.4, go to the hospital immediately. Breastfeeding can be a very natural process for some mothers. Some mothers, on the other hand, find it really difficult to breastfeed. It can be overwhelming and can cause major stress. Before you have your baby, it is highly recommended that you attend a parenting class. The parenting class will teach you what to expect. Using this advice, you can overcome the early obstacles of nursing your child. At the hospital, lactation consultants can guide you through the process of getting your child to start nursing. If you face any difficulties during the first few days, they can provide lots of useful advice. The ability to bond with your baby is the most important thing. If the stress from breastfeeding is impairing your ability to bond with your baby, you should contact your pediatrician in Charlotte immediately. First-time parents are highly stressed about their baby’s bowel movements. Unfamiliarity with the frequency and consistency of your baby’s poop can cause you a lot of grief. Breastfed babies soil their diapers more frequently than babies that are not. If your baby is uncomfortable and unhappy about pooping, then you should waste no time in contacting your doctor. If doctors educate first-time parents about these issues, then it will be really advantageous.